Okay, before I tell this story, I need to start with this caveat: Everything I’m about to tell you is absolutely true. It may sound ridiculous, but I promise, I am not making any of this up. So this past Sunday, we had a double baptism at my congregation, two little girls. One of the families was from out of town. We get that sometimes; people want their kids baptized at grandma’s church or something like that. I figured that was the case with the out-of-towners. Well, Sunday morning rolled around and I gathered the families together for their last minute instructions. That’s when I met the dad from the out-of-town family. He was close to my height, bald, with a very long red beard. I spoke briefly to the whole group and double-checked that I would pronounce everyone’s name correctly. The baptism went off without a problem. I have a tradition of carrying the baptized children down the aisle to introduce them to the congregation, but since there were two children involved in that instance and I’m not a good juggler, I asked the parents to follow me. Out-Of-Town Dad carried his daughter into the aisle. At one point, I joked that his daughter was looking at me and thinking, “You don’t have nearly as magnificent a beard as my daddy!” We wrapped up the service and then the families left. So I’m sitting in the seats at Raw and a picture of the Wyatt Family pops up on the big screen. And suddenly, I’m struck by how much Out-Of-Town Dad resembles Erick Rowan. The similarity is eerie. But that’s ridiculous. There’s no way that a WWE Superstar was in my church the morning before to have his daughter baptized. But still, I just couldn’t shake that feeling. I mentioned something to my brother-in-law, who had been at the service. He agreed, there was a resemblance, but he didn’t think it was possible either. Finally, though, he pulled out his smart phone and looked up Erick Rowan’s real name. 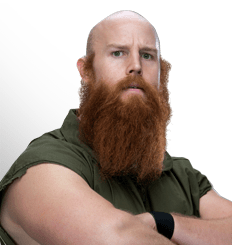 Wouldn’t you know it, Out-of-Town Dad and Erick Rowan have the same last name? 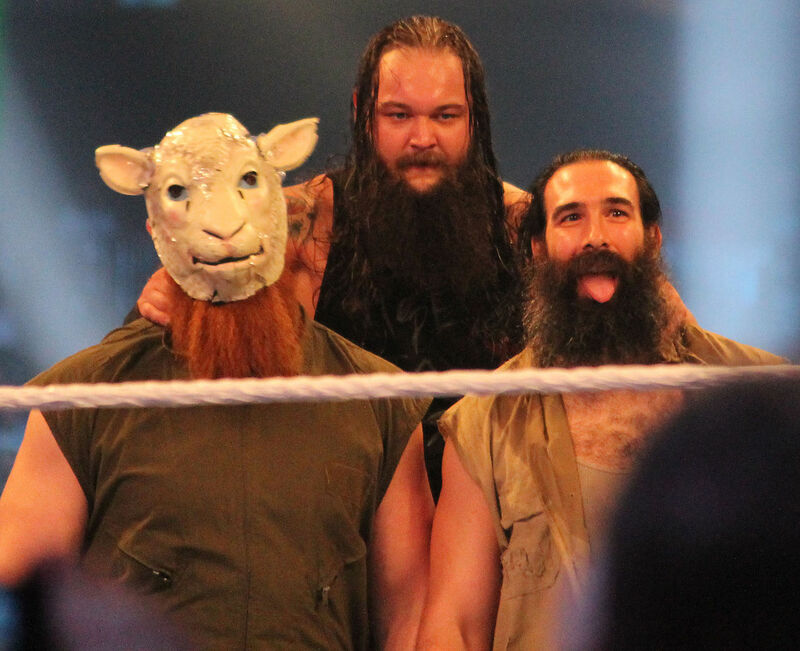 Now it’s possible that Erick Rowan has an identical twin brother who chooses to shave his head and grow out his beard in the same fashion, but I somehow doubt it. In the end, I came to realize that I had a WWE Superstar in my church 36 hours after the fact. There’s no deeper meaning to this story, no life lessons that I’m trying to teach. I’m just marveling at the surreal-ness of my life right now. Three weeks ago, after my son’s operation, I met Lady Gaga. Now, I’ve met a WWE wrestler. I’m almost nervous to find out who I’ll meet next. New Covers and Fan Art!